SUBZERO CRYOTHERAPY - 4TH & INCHES SPORTS PERFORMANCE, LLC. Cryotherapy, at its most basic function… works on the same principle as an icepack on a sore knee. Just like the icepack helps relieve the pain on a bump, cryotherapy is used to relieve symptoms in people suffering from muscular and joint pains resulting from intense activity or injury. THE SUBZERO Cryosauna experience involves lowering the body’s surface skin temperature from approximately 90.5 degrees F to around 32 degrees F for 3 minutes. This is achieved by the use of Nitrogen mist that will gently surround the body at -75 to -145 degrees F.
During this process, The skin reacts to the cold and sends messages to the brain that stimulates the body to go into survival mode by shunting blood from the extremities to the core where the blood is enriched with oxygen, enzymes and nutrients. As the body re-warms, this nutrient rich blood is pushed back to the extremities. Enriched blood promotes internal organ regeneration, expels toxins from subcutaneous layers, initiates cell renewal process, triggers replacement of damaged cells and eliminates dead cells from peripheral tissues. Or simply put, it is rejuvenation of the body at the cellular level. Sports recovery isn’t new. People have always found ways of allowing their bodies to recover after taking to the field or after engaging in grueling exercises. What has changed is the professionalism of sport and the techniques used in recovery. As a result, WBC is very effective for athletic recovery and muscle repair, reduction of chronic pain and inflammation, and skin health improvement through increased collagen production. EARN FREE SESSION(S)5 referrals = 2 sessions FREE! EARN FREE SESSION(S)4 referrals = 2 sessions FREE! EARN FREE SESSION(S)5 referrals = 2 FREE! Please call 972-514-4916 or email subzerocryo@4th-and-inches.com to schedule appointments. We are not able to accept appointments for children under the age of 15 years, unless accompanied by a parent or guardian. Children under the age of 15 require a parent or adult guardian signed waiver and/or accompaniment by a parent or adult guardian for services. Online bookings cannot be made by or for any person under 15 years of age. Please contact the office for further information. A 3 minute treatment time. 10-15 minute total, including undress, dressing time and warmup protocol. You will be constantly monitored by our staff. During the process, super cold, dry nitrogen vapor will cover the entire body, from the neck down. Your skin will send signals to the brain, which stimulates physical reactions and activates naturally occurring healing resources. Once out of the chamber, You will dress and complete a quick stretching protocol to complete the reheating process. After your first session you will notice increased energy due to the boost your metabolism just received. You can burn 500 or more calories in the next several hours. Remain in your under garments, jogging or compression shorts. Women may also wear a bra, sports bra or bikini top. You will be provided with a pair of gloves (optional) socks, slippers and a robe. To book your SUBZERO Cryosuana session, please call 972-514-4916, or use our easy 24-hour online booking system as all services are scheduled by appointment only. To accommodate today’s busy lifestyle we do often have same day appointments available. However, to ensure that we are able to accommodate your preferred appointment times, we ask that you schedule with as much advance notice as possible. All appointments will be RESERVED with a CREDIT CARD at the time of scheduling. 6 HOUR NOTICE IS REQUIRED to cancel or reschedule an appointment. If you fail to provide a 6 hour notice, or do not show for your appointment you will be charged a session from your package. In the event you need to cancel your monthly subscription (WHY?) – after you have paid at least one full month, There is no cancellation charge. Otherwise there will be cancellation fee in the amount of a full session, $55. Please provide us with a written notice by emailing us at subzerocryo@4th-and-inches.com at least 7 DAYS in advance of the next billing date. Bringing top performers back to peak fitness as quickly as possible after the event is the most important topic in performance sports. 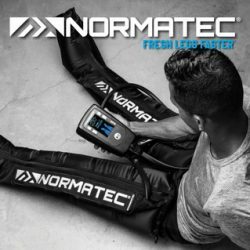 Use of the cryosauna creates the conditions needed for more intensive training sessions – an important contribution with no harmful side effects. The performance-enhancing effect of cryotherapy has been scientifically demonstrated. Its use in performance sports increases stamina while reducing the heart rate. Mental stimulation in preparation for performance is clearly also important. These effects may be used successfully across the entire spectrum of sports from fitness maintenance to high performance athletics. Shortening of the Traumatic and Postoperative Rehabilitation Stages In addition to pain relief, acceleration of healing is also important. This makes the cryosauna an ideal supplement to conventional physical therapy. -Can I work out immediately before or after my Cryo session? Yes! It is completely safe either way! If you workout before you session, you can expect greater recovery due to the inflammation reduction. If you workout after your session, you can expect a higher pain tolerance, more energy and greater flexibility. -How does an ice bath compare to the SubZero Cryotherapy? IT DOESN’T. You are simply unable to achieve the same results with an ice bath. After 15 – 30 minutes of cold ice water the skin temperature only arrives at 41 degrees. Whereas within 3 minutes of whole body cryotherapy the skin temperature drops as low as 30 degrees, this allows for a different physiological response from the body, therby increasing your speed of recovery and overall healing. During an ice bath, the cold actually penetrates into deeper skin tissue and can be damaging to the skin. In the cryosauna, the skin is never penetrated, yet the body responds on a deeper level, even improving the skin’s overall condition. -Do I need to shower before or after? No. this is a dry, super cold session and your skin remains dry. The treatment will take 3 minutes. -What is the best frequency? No sooner than four hours, not longer than 48 hours for athletes during intense training and competition. Many clients prefer one or two sessions per week for maintenance. -Why haven’t I heard more about Cryotherapy? Extreme cold has been used to treat inflammation for centuries – think of athletes icing sore muscles. Modern applications to treat rheumatoid arthritis began during the 1970s in Japan. Several clinical studies have been conducted in Europe, where the practice is more common. -Is the nitrogen vapor safe? The vapor is composed of the same nitrogen that is in the air we breathe. The heavier nitrogen vapor remains inside the chamber, so you breathe the air in the room. -What if I have Claustrophobia? Your head remains safely above the chamber, and you can exit at any time. WHO SHOULD NOT USE WBC?